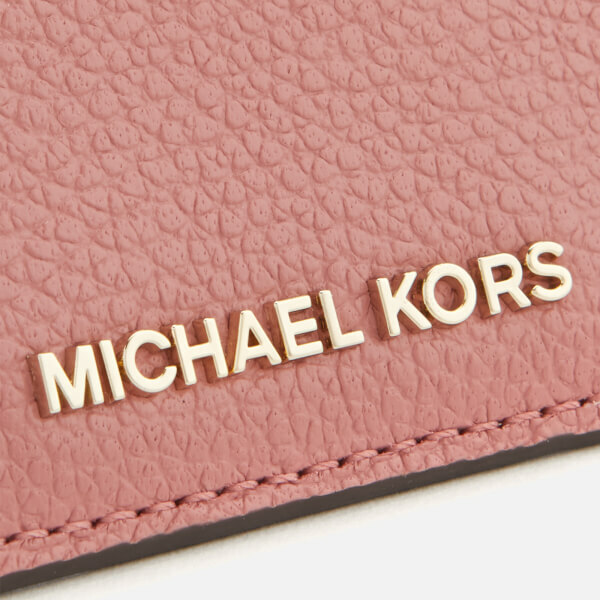 Pink leather card holder from MICHAEL MICHAEL KORS. 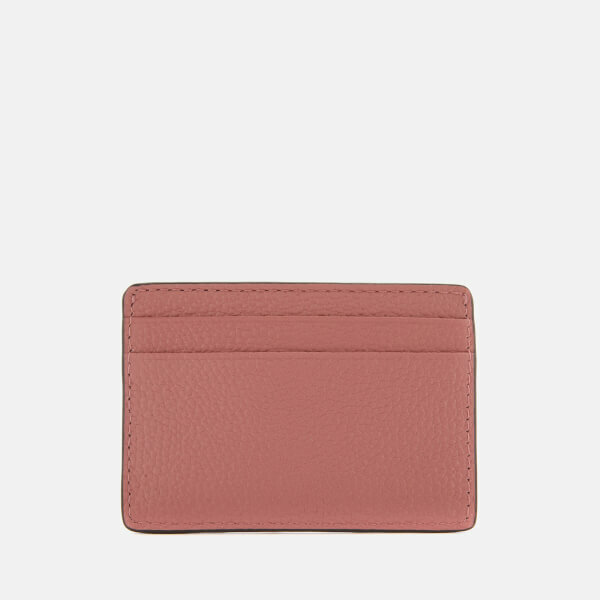 Crafted from grain textured leather, the ‘Money Pieces’ cardholder is designed with four card slots and a central pocket lined with logo jacquard fabric. Finished with a gold-tone metal logo to the front.